What do you get when you combine 55% Roussanne and 45% Grenache Blanc? 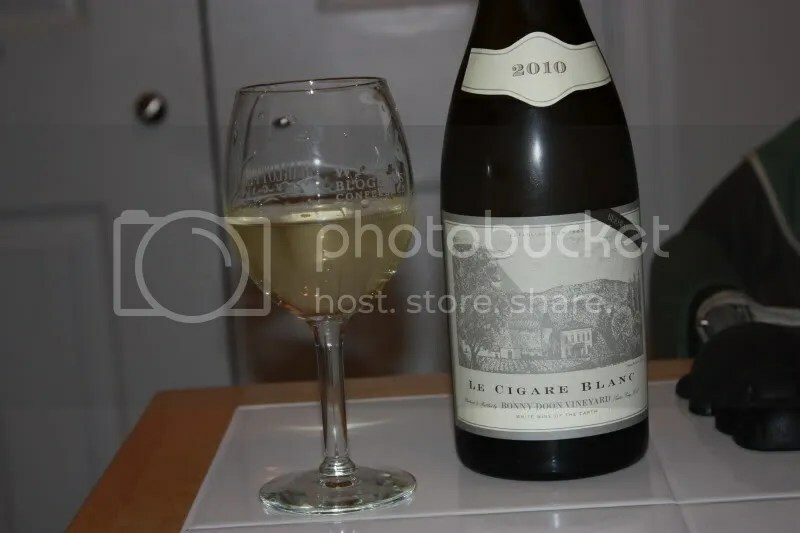 The current 2010 vintage of Bonny Doon’s Le Cigare Blanc. Did you think I was going to tell a joke? I don’t joke about wine. Well, that’s not true at all, but there’s no just kidding font that shows through the computer screen. Though I could really use one, along with a sarcasm font. Anywho. 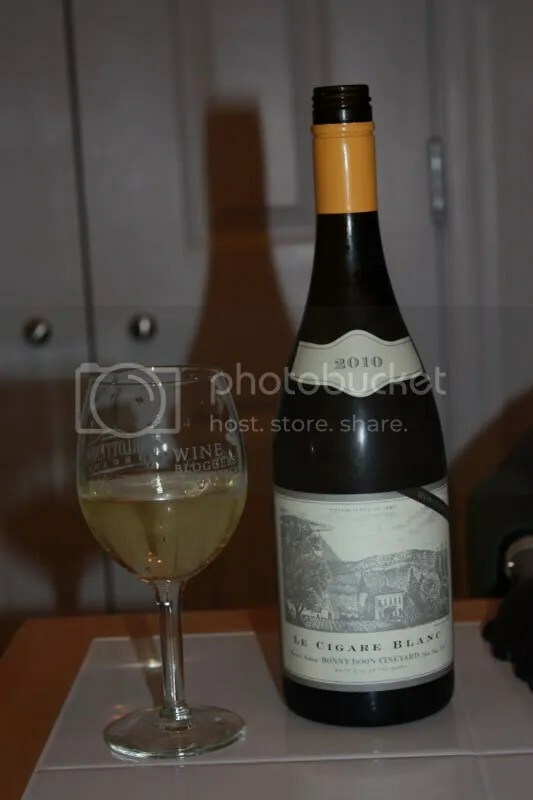 The 2010 Bonny Doon Le Cigare Blanc has a screw cap closure, clocks in at 12.7% alcohol by volume, and I think it retails for around $24. 1.) The Roussanne is very evident in the oily, big mouthfeel of this wine. 2.) I’ve had Roussanne. I’ve had Grenache Blanc. I don’t think I’ve ever had the 2 blended together before. It works. 3.) Bonny Doon always has some really interesting wines going on. 4.) The Le Cigare Blanc is perfect for the transitional spring weather we are having in DC with our cooler, windy evenings. On the nose I found tropical fruits, apples, wax, honey, and flowers. In the mouth I got apple, tropical notes, guava, honey, and flowers. The Roussanne very much dominated the blend for me and lent a heavier, oily, waxy quality to the wine. Pair with roast chicken. 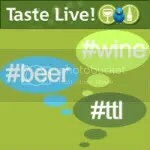 Filed under: California, Roussanne, White, Wine |	Comments Off on Ooo La La!